With Walmart and Kroger offering lots of organic and natural food options, why does it matter that you know the farm your food is comming from and go the extra mile to get it? What's the difference anyway? Isn't organic the healthiest food you can get? You might be asking yourself these questions and more. It's not easy to decipher the meaning of all the food labels on the shelf at the grocery. Many foods that carry an organic lable are still raised in large confinement opperations. Often times, organic dairy is pasturized and homoginized, organic meats are raised in confinment operations and subject to mass slaughter houses, and organic produce and vegetables are grown in a way that strips the life from the soil. Here at Grass Corp., we want to be different. We don't bother with organic labeling because we want to be better than organic and manage our land and animals the way nature intended. We want to show and tell you how our land is holistically cared for through managing the rotational grazing of our animals. 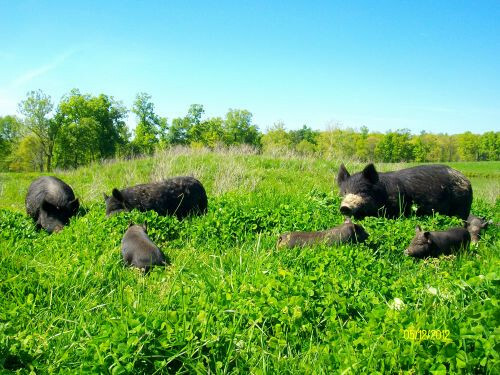 We want you to know and see for yourself that your food is coming from animals on a pasture, that are cared for, and that are fed on healthy, nutrient dense soils. It matters to us and we know it matters to you. But don't just take our word for it. We suggest you follow the links bellow to read these articles to find out more from reliable sources like the Weston A. Price Foundation, RealMilk.com, and Jo Robinson author of "Why Grass-fed Is Best!" Find out what experts in nutritious, grass-fed foods are saying about pastured meat, eggs, and raw dairy. Then come back to us and let us be your farmer. Because it matters. Fresh, Unprocessed (Raw), Whole Milk: Safety, Health, and Economic IssuesWhy Grass-fed is Better Than Organic by Jo Robinson author of Why Grass-fed is Best!